Let’s face it. Reporting data from many sources is a fact of modern data management life. But it’s also a cumbersome, frustrating process that’s full of delays. Finding, analyzing and reporting on disparate data often takes too much time and effort. Business managers need a better understanding of what’s happening in their organizations. And, IT managers know that reports that don’t address readers’ goals don’t get read. Luckily, new tools can make quick work of reporting tasks. Tools that combine rapid data analysis and striking visuals to streamlined reporting. In short, a faster easier way to find and share information that business users and managers want to know. George Stanly, IT Director of Virbac, a veterinarian pharmaceutical firm, suffered from chronic headaches—of the IT variety. His responsibilities includes gathering data from many sources and generating customized reports that help company managers meet their business objectives. So, Stanley looked for a solution that business users would adopt but wouldn’t a lot of time IT staff time. Virbac data management practices didn’t help. The company had a habit of joining together large spreadsheets, a manual, labor-intensive process often filled with errors. This time-consuming task didn’t provide the understanding business leaders needed as the company grew and changed rapidly. Stanly knew that if any BI solution were successful, it had to address business user requirements. And, he needed to shift the BI analysis task from the IT team to the business users to free up IT staff time. He engaged the data analytics consultants at Syntelli Solutions to minimize the effort and cost of getting the reporting capabilities he needed. Process different types of data from different sources. Like many organizations, Virbac data came in many formats from many sources each with its own reporting tools, which were hard to configure. Take less time. On average, the Virbac IT staff needed 10 man hours a month to create the reports that managers wanted. They spent a lot of time figuring out which information was needed and which system could provide the data. Be easier to use. Managers started asking for better BI software because the four existing tools were hard to use and did not give them the insight they wanted. Stanly wanted to simplify data analytics and use a single tool. Cost less than existing solutions. This single-tool approach would greatly reduce costs because the company wouldn’t have to pay for four different BI products. And, one tool would cut training and support costs and free the IT team. Scale up. Finally, the new solution needed to scale up easily. Virbac works with 1,700 distributors, who sell its 650 products to 55,000 veterinarian clinics in the United States and Canada. The right BI solution had to keep up with the company’s rapid growth. Self-service business intelligence. Tableau software’s single presentation layer across different applications gives business users an easy-to-learn, drag-and-drop tool to get answers from any data source. Rather than waiting for query results, managers can answer their own questions in minutes. Tableau uses a live connection to the database for analytics. Users can quickly build and share beautiful, effective dashboards, without technical knowledge or IT help. And, Tableau software could use Hyperion Essbase™ as its native data source and connect seamlessly to existing Oracle and SQL databases. Fast deployment and implementation. 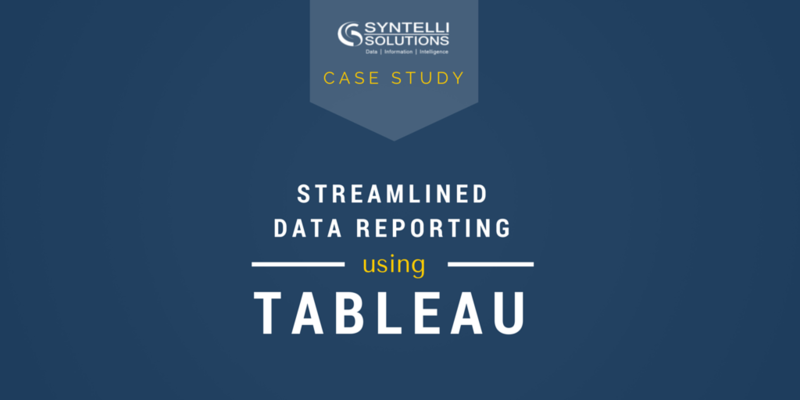 Stanley chose Tableau® Desktop for company financial analysts and data miners, who typically explored data and created new reports. He deployed Tableau Server for business users, who wanted to filter and explore detailed, dynamic performance data and daily operations data. Virbac IT pros chose Tableau because it was easy to use and could turn around powerful reports quickly. The Tableau investment achieved business value by reporting what managers wanted to know and providing visuals that made data complex data patterns easy to understand. Reduced cycle time. Self-service BI offered across many data sources dramatically reduced the time Virbac managers needed to answer business questions. Providing a single set of easy-to-use tools enabled them to get up to speed much more quickly. This new independence helped managers rely less on the IT staff. This improved the business user experience and helped IT pros focus more on strategic initiatives. Lower TCO. The Virbac IT staff saved 10 man-hours a month by reducing the number of presentation applications it needed to support, upgrade and maintain from four to one. This labor reduction (and less effort helping business users reduced the BI application TCO. By choosing Tableau data analytics software—and engaging Syntelli data scientists— Stanley installed a solution that satisfied his requirements list. Tableau software processed many types of data, controlled IT costs, scaled up quickly and met business user and manager expectations. The search for the right solution was long. But the outcome definitely provided ongoing relief for his data reporting headaches. To read the full version of the case, click here. To learn more about Syntelli’s Tableau Support program, contact us today, or request a demo of Syntelli Services!